Chris Hammer has been a journalist for over twenty-five years. He has been an international correspondent for SBS TV's flagship current affairs program Dateline, the chief political correspondent for The Bulletin and a senior political journalist for The Age. 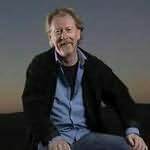 His non-fiction book, The River, published by Melbourne University Publishing in 2010 to critical acclaim, was the recipient of the ACT Book of the Year Award and was shortlisted for the Walkley Book Award and the Manning Clark House National Cultural Award.